In this quick tutorial you'll learn how to draw a Redhead in 6 easy steps - great for kids and novice artists. At the bottom you can read some interesting facts about the Redhead. Step 1: The Redhead is a type of diving duck found in North America. 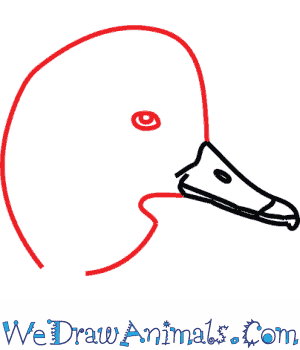 To start drawing one, use a small cone shape for the beak. Add a small oval for the nostril. 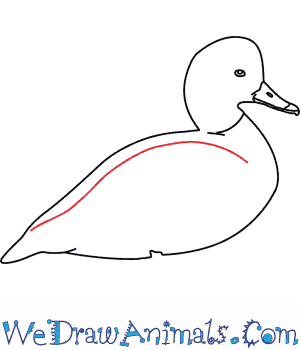 Step 2: Add the head of the Redhead Duck, bring a curved line around the top for the top of the head, then add a squiggly 's' shape under the beak for the neck. Add an oval with a circle inside for the head. Step 3: Now for the body. Draw a smooth curve along the back. Then, draw a round curve under the neck for the chest. Continue drawing the chest in a loop and add some bumps in it for feather pattern detail. Step 4: Now, draw a curved line for the wing inside the body. 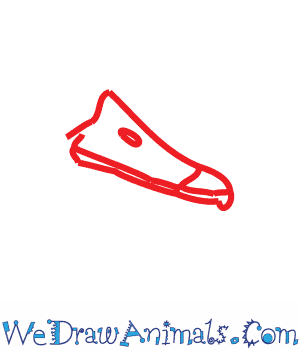 Step 5: For the first foot, draw two lines straight down and add the cone shaped webbed foot. This is what make the duck such a great swimmer! Step 6: Now add the second leg behind the first as shown. 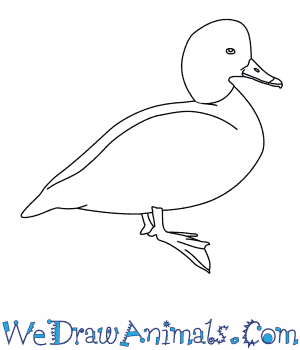 Color these cute ducks with a red colored head, just like the name! They also have a red neck with a black breast, and gray on the rest of their body. The bill is also yellow. The redhead is a type of diving duck that is commonly found in marshes in North America. These excellent divers feed on seeds, water lilies, and even wild rice most commonly but will also eat mollusks and small fish. Not only are they great at diving but they are also pretty fast flyers, flying up to 80mph! 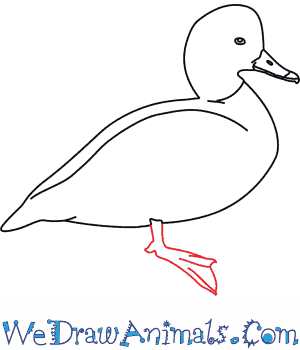 These ducks are normally around 37cm long when they are fully grown adults and have a wingspan of 84cm! That’s almost twice the length of their entire body! 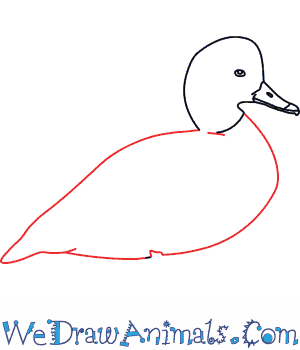 These cute ducks get their name of redhead because the adult male actually has a red colored head. They have a red head as well as a red neck with a black breast, gray on the rest of their body, with yellow eyes and a blue bill. The female redhead ducks don’t actually have a red head, their heads are brown in color as well as the rest of their body with a darker blue bill that has a black tip, almost like black lipstick!